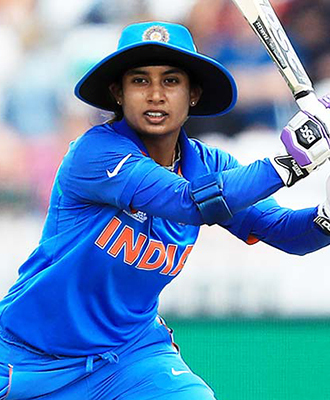 Mithali carried the baton of popularising Women’s Cricket India with her fierce sportsman spirit. For more than a decade, Mithali has been a mature, competent and inspiring leader, mentoring and motivating her team through the ups and downs that come with the game of cricket—especially women’s cricket. For her dedication and leadership, Mithali was honoured by the Indian Government with the prestigious Arjuna award in 2003 and the Padma Shri Award in 2015. Daughter of an Indian Air Force airman, Mithali grew up in an environment of discipline and commitment. Her father always pushed her to do more, do better. Growing up, Mithali was equally attracted to Bharatanatyam and cricket and learnt both with fervour. Eventually, cricket won and she began to train seriously. Right from her debut in New Zealand in 1999, Mithali’s journey has been a series of achievements, including being the only woman cricketer to cross the 6,000-run mark in one-day internationals to become the highest run-scorer in women’s international cricket. Her individual successes have been mounting steadily through her career, but it is her success as a captain that sets her apart. Leading from the front, this Arjuna and Padma Shri awardee has led the Indian team twice to the World Cup finals.